The devastation caused by Hurricane Matthew has forced millions to evacuate and thousands left stranded. 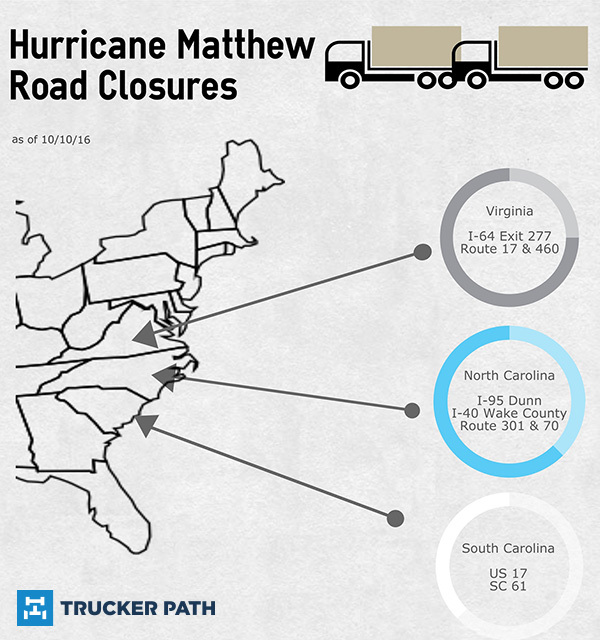 North and South Carolina as well as Virginia are still experiencing road closures and gridlock traffic conditions on flooded and damaged streets. We have provided you with updated information from the Department of Transportation here.